If you’re anything like the rest of us, then frequent visits to the dentist’s office are far, far away from your idea of a good time. However, with all the sugars and processed foods most Americans consume, oral hygiene needs to be one of our top priorities. Because of this, there have been many innovations in oral care, some of them more complex and some of them surprisingly simple. Xylitol, for example, is a natural sweetener with the potential to change the way you care for your teeth. Derived mostly from the fibers of corns cobs and stalks, xylitol crystals look and taste like your typical table sugar, but with almost 40 percent fewer calories. It is also safe for diabetics with a glycemic index of 7 and is digested as fiber, so no insulin is released during the process. Xylitol can be effective in oral care when it is used as a primary ingredient in an oral care product or even as a treatment method by your dentist. The most popular way to use xylitol for your teeth, however, is chewing sugar-free gum sweetened with it. 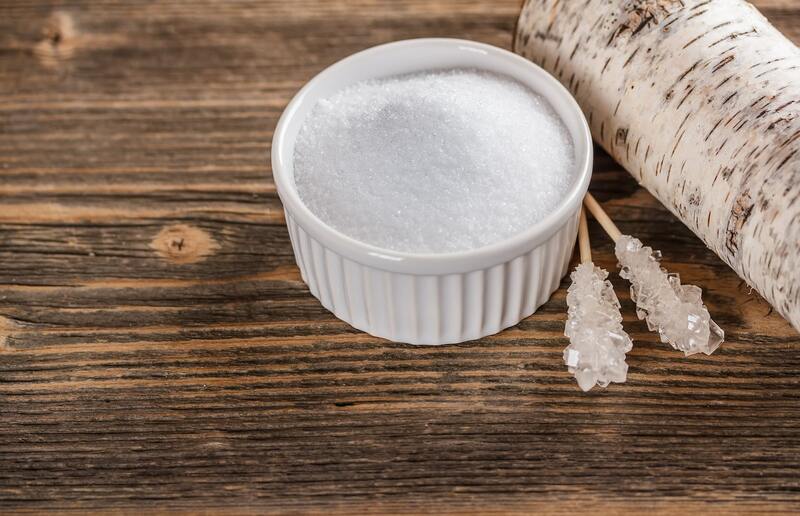 So, how can xylitol benefit your oral hygiene? Xylitol prevents harmful oral bacteria from cultivating by blocking their ability to produce acid and waste. Basically, xylitol starves harmful oral bacteria and they die. Harmful oral bacteria are responsible for eroding tooth enamel, leading to an increased risk of cavities and tooth decay. Furthermore, xylitol reduces the stickiness of plaque, so it cannot eat away at your tooth enamel and cause more damage and decay. Gum disease, also known as gingivitis, is a common yet serious condition caused by poor oral hygiene and dietary habits. One of the disease’s major symptoms and causes is swollen gums. Xylitol can help reduce this inflammation, providing relief for your gums and killing bacteria that gets trapped between swollen gums. By offering relief for inflamed gums, xylitol helps prevent even worse conditions from developing, such as periodontitis. Periodontitis is a severe condition that can result in shifted teeth, constant bad breath, and even tooth loss. Chewing xylitol-sweetened gum not only prevents cavities and eases inflammation, but it also activates your salivary glands. Your saliva plays a crucial role in your oral health by balancing your mouth’s pH levels. When your mouth’s pH levels are too low, your mouth becomes acidic and creates an ideal environment for plaque and other harmful bacteria to grow. When the pH level is balanced, your tooth enamel also has the opportunity to remineralize, meaning your teeth are more protected. We developed our alkaline mouthwash tablets with xylitol as a primary ingredient to help people balance their mouth’s pH. Learn more about Alka-White and how our xylitol based mouthwash is helping people around the world prevent cavities.